DisrupTV On The Road at Davos Day 2, Featuring Ron Cao, Tifenn Dano Kwan | Constellation Research Inc.
Tifenn Dano Kwan is chief marketing officer for SAP Ariba and is responsible for leading and defining the global marketing vision for the business. Previously, Tifenn served as vice president of SAP Ariba’s Integrated Marketing organization. In this role, she created and led a unified audience, go-to-market, and solution teams to deploy end-to-end strategies to impact the awareness and adoption for IT, finance, procurement, and supply chain customers. 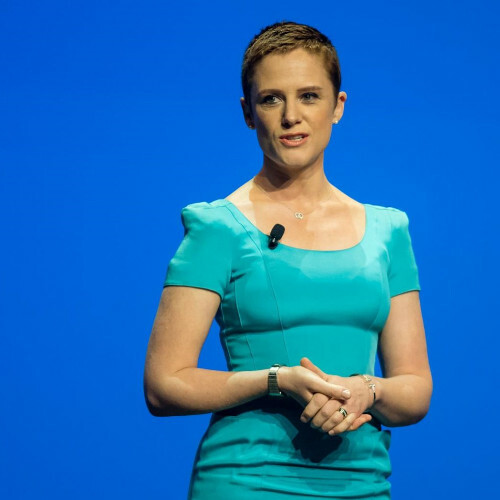 Prior to that, she was the head of go-to-market launches and brand platform at SAP Ariba, responsible for delivering a consistent and compelling brand experience strategy for all customers and the successful execution for innovation launches. Tifenn joined SAP in 2006 and has since held various leadership roles across the marketing organization including those in channel and partner marketing. Tifenn holds a Masters in management from the Audencia Business School as well as a Law Degree from the Institut Catholique d'etudes Supérieures.